The Claim the Stage podcast has been awarded the #1 spot on Forbes’ list of inspiring podcasts! 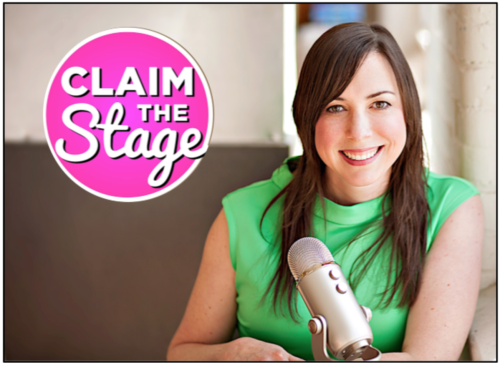 The Claim the Stage podcast is dedicated to women everywhere who want to get on stage and be heard! Angela Lussier, CEO + Founder of the Speaker Sisterhood, interviews professional speakers, authors, speaker bureaus, thought leaders, entrepreneurs, interesting people, and creatives who all have something to say on the topic of finding and using your voice. Podcast Ep. 106: What Does One Year of Speaking Training Get You?